In 2013, the Hong Kong government declared publicly that they will remove shark fin dishes, and dishes with the endangered bluefin tuna, from their official banquets. The decision received much applause from Hong Kong people (see: Research, sociological survey) and environmental groups. BLOOM HK continues to encourage shark and marine conservation initiatives within the local government. All items traded into and out of Hong Kong are catalogued according to the The Harmonized Commodity Description and Coding System (HS codes for short). Declaration by traders bringing items into and out of Hong Kong using this coding system is a mandatory process, and the collected information will be presented for public access in Hong Kong’s Census and Statistics Department (CSD). HS codes may range from 2 to 8 digits, with 2 digit codes offering the most general description of the items, and 8 digits offering the most detailed. Assignment and categorization of codes will hence influence the accuracy and level of detail that can be derived from from CSD’s data. In the previous years, BLOOM HK has been participating in the annual evaluation process offered by the CSD to update the categorizing system for the HS codes. BLOOM HK travels around the world to shark fin and seafood exporting countries, speaking to the local governments and traders with the goal of establishing more relevant regulations surrounding the trading and fishing methods. 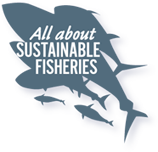 Apart from the CITES campaigns, we are also interested in traders involved in the Live Reef Food Fish (LRFF) trade. We visit those traders in the sourcing and exporting countries of LRFF in order to gain a deeper understanding of their trading methods. The resulting report regarding LRFF can be downloaded here (insert doc).